There’s a reason why mobile security is one of the most hotly debated topics in the IT industry. Because the risks involved with mobile device use are high. If sensitive company data falls into the wrong hands, major economic damage could be the result, as well as penalties through the GDPR and a loss of reputation. That’s why companies should focus intensely on security measures for their mobile devices and rely on proven solutions. Mobile devices are a lucrative target for hackers, as they are used more and more frequently, offer access to sensitive company data and are comparatively easy to hack. Low security precautions, a lack of security awareness and a lack of know-how coupled with ever-increasing sophistication of attacks and a steady rise in the number of gateways open to attack. The situation is often aggravated by a mix of private and professional use of the devices, even outside company networks. Attacks on devices: This gives attackers control over the entire device. Hackers can even access encrypted or container content themselves or install their own software to cause further damage. Network attacks: In public Wi-Fi networks, hackers can use a “man-in-the-middle” attack to read, compromise and gain control over data communications. For example, they can steal contact data, emails and complete files by temporarily appropriating the attacked user’s digital identity, i.e. digital impersonation of the user. Fake or infected apps: Malware can allow unauthorized access to the device and put sensitive data in the wrong hands. The attacker’s method is simple and therefore so dangerous: the user is usually offered a well-known app free of charge or with special functions. After installation, the app behaves exactly as the user expected – including querying access rights, while also transporting data to the outside world without the user’s knowledge. There are many ways companies can protect themselves from cyber attacks. MobileIron Threat Defense is one of the most effective ways to protect against cyber attacks. 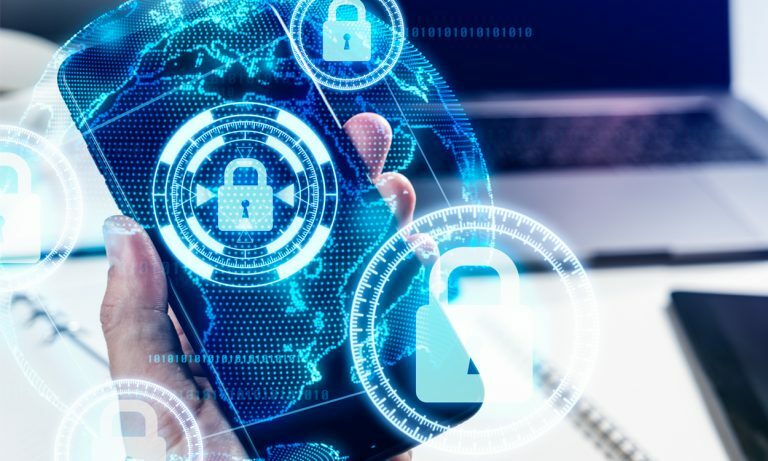 MobileIron Threat Defense enables organizations to define security policies for their own and private devices and use artificial intelligence algorithms to detect known and unknown mobile threats – even if they are not connected to the internet. Additionally, countermeasures can be taken against a variety of attacks that are performed directly on the device and do not require an online connection. When an employee opens a message sent by an attacker that contains malware, MobileIron Threat Defense prevents the malware from running and compromising the device at the time the permissions are granted. If an employee wants to connect to an open Wi-Fi network at the airport or in a hotel lobby, MobileIron Threat Defense blocks the connection if it is an rogue access point by an attacker that could be used to intercept access data to the corporate network. Also, if an attempt is made to intercept communication between the employee’s device and the Wi-Fi hotspot, this is also suppressed. If a consultant is working on-site at a customer’s premises and wants to circumvent the customer’s network restrictions with a free VPN profile that is malicious and can capture confidential data, MobileIron Threat Defense detects and blocks the attack when the app is being installed or the unauthorized VPN configuration is used. The security directives are defined in the UEM portal. If a device is not compliant, it is automatically limited in its access rights, the entire network traffic is blocked or company apps are removed from the device. This ensures that company data remains protected. Protection can be easily activated via the MobileIron Threat Defense component, which is already integrated in the MobileIron client system, requiring no further activation steps from the user. Deactivation by the user is not possible.A dashboard provides administrators with a transparent overview of all devices at all times and immediately displays devices affected by threats. User productivity is not compromised by all this. Security, on the other hand, is significantly improved and attacks on devices, networks and applications are prevented by MobileIron Threat Defense. If you want to know more about security solutions and MobileIron Threat Defense, don’t hesitate to get in touch.